Summer is flying by and the weather has been okay lately in my neck of the woods. One thing that’s for sure, no matter if it’s raining or sunny outside, the kids seem to be constantly wanting a fun snack. I’ve literally been clearing the table of our dinner dishes and my youngest asks me for a snack! I’m like…. seriously? 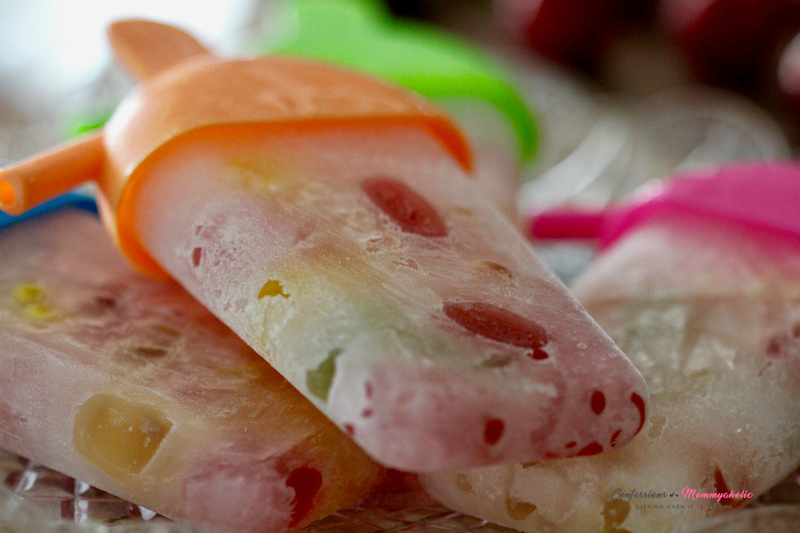 These gummy bear popsicles are one of my kids summer favourites treats, and I love how simple they are to make. Janine from Confessions of a Mommyaholic serves these up regularly to her little ones and they look delish! I was thinking you could also do this with gummy bears and yogurt for a more filling summer treat. 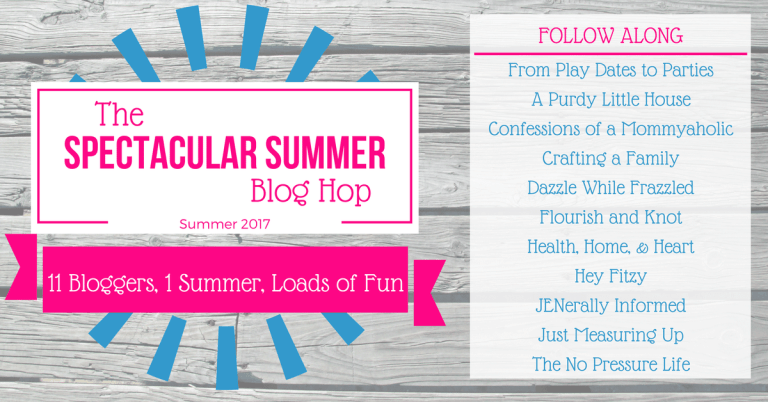 This post is another wonderful addition to the Spectacular Summer Blog Hop, which goes until the end of August and features 11 bloggers best summer inspired blog posts, with recipes, DIY crafts, back to school ideas, organization and home decor. Follow along with the other bloggers listed above. Why did you start blogging? It was back in the summer of 2012 that I first initially started to blog. My girls were only 2 and 3 years old at this point. Blogging was a life line to the outside world for me as a stay at home mom. Never did I imagine the doors it would open for me or that it would lead to a new and exciting career. What is something you learned in the last week? This would have come from my younger daughter, who told me after school this past week that she may be little, but she is also tough. What’s your favorite holiday? That would have to be St. Patrick’s Day as I love all things green and shamrocks, too.